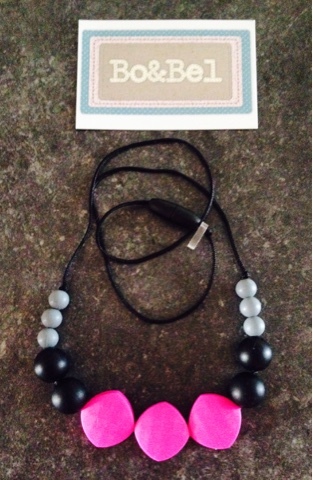 I was given this beautiful silicone handmade teething necklace to review by Bo&Bel. Bo&Bel was founded by a fashion loving mummy who wanted to design and make modern and distinctive teething necklaces that enables mums to wear safe, stylish and yet practical jewellery. 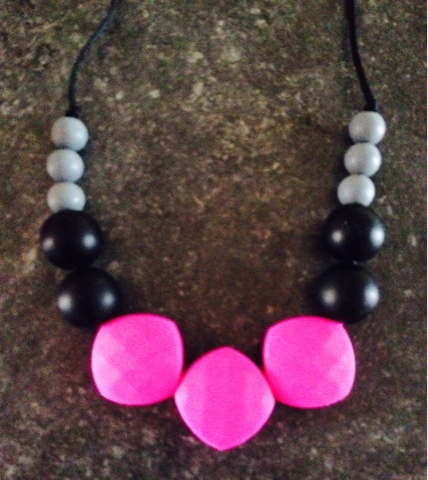 I was given the chance to pick any design and colour of teething necklaces on their website. There are 4 different teething necklace designs to choose from. Geometric, Round, Rectangular and Quadrate. The necklace in the picture above that I chose is the Quadrate design. I love the fact that there are lots of colours to choose from. So you can pick a colour to match your clothes. Perfect for the stylish and fashion conscious mummy! All the coloured teething necklaces are named after girls names which is such a cute idea! The necklace I chose is called Cleo. When I first put the necklace on, my baby girl was mesmerised by it. Straight away her little fingers were feeling the different shapes. I think she loved the rubbery feel of the beads as well as the colours. I think the bright colours are perfect for babies and toddlers and their development. 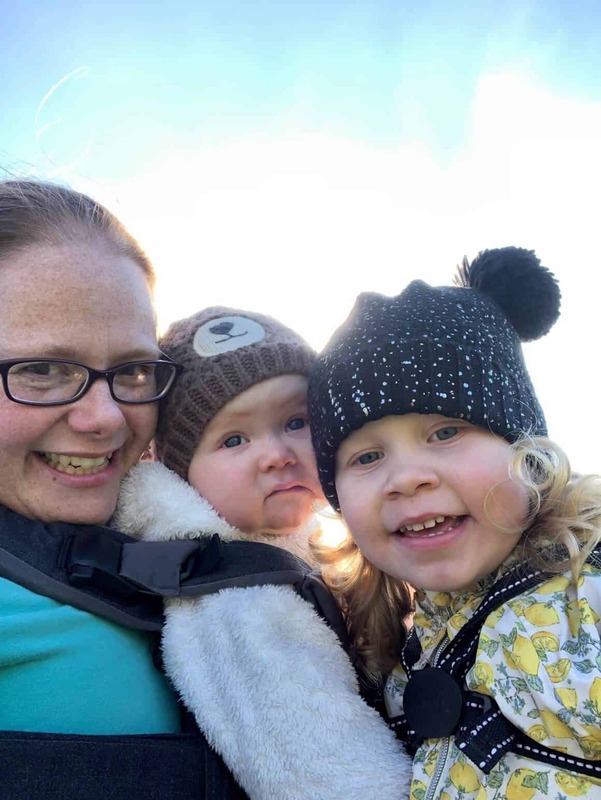 The necklace is a fantastic product for all mummy’s and I’m so pleased I have got the chance to review it. The necklaces are easy to clean with just soap and water. As a very safety conscious mum, I think it’s great to know that the silicone beads are made from 100% safe food grade silicone, BPA Free, No PVC’s, No Phthalates and no lead or mercury. 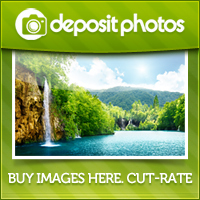 They are FDA and SGS approved. Now onto the giveaway. 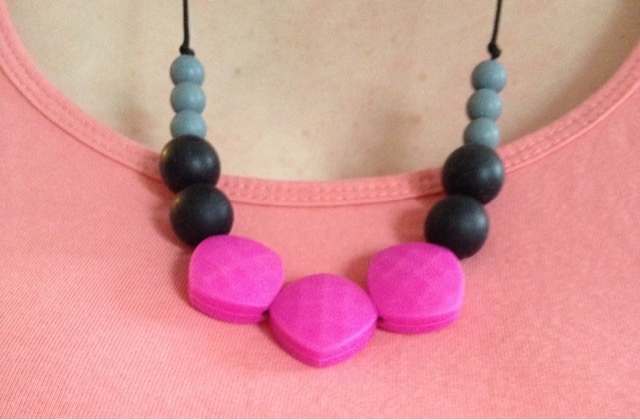 The lovely people at Bo&Bel have offered my readers a chance to win one of these gorgeous silicone teething necklaces in a colour and design of your choice. Pop over to Bo&Bel to have a look at the amazing designs and colours. If you would love to win one, just fill in the Rafflecopter below. * I received this teething necklace in exchange for an honest review. All opinions expressed are my own. There is one prize of a silicone teething necklace from Bo&Bel – The prize is non-transferable and no cash alternative will be offered. The winner will be selected at random via Rafflecopter.com from all valid entries and be notified by Twitter. The winner will have 14 days to respond with a valid UK postal address before a new winner is selected. Open to all UK entrants aged 18 or over only. My daughter is called Amelia. So naturally I really love the Amelia geometric necklace. Florence round necklace would be perfect! Tracey F – I really like the liquorice round one. I'd love the Enid necklace, the colours are lovely and would go with loads of my outfits! 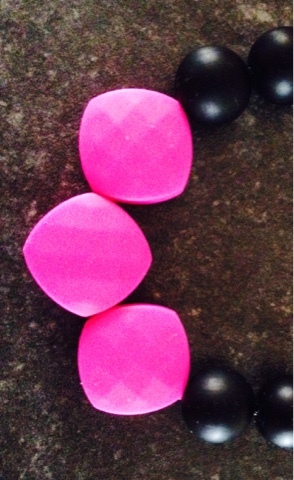 Oh I do love a bit of teething jewellery bling. I really like the Enid necklace, these are a great idea! They all look great,I would choose the Chloe necklace. I'd choose the Florence round necklace. Oh I have a Bo & Bel necklace and LOVE it. My little man loves chomping on it and pulling on it these days. 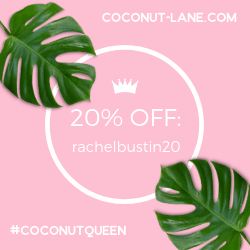 Have entered your giveaway woop!